The Knights Templar is an almost legendary group of warrior monks whose story has colored many cultural tales. They are referenced in Indiana Jones and the Last Crusade, as well as The Da Vinci Code. Some people claim that the Freemasons – who lie at the heart of many conspiracy theories throughout history – have their origins in the Knights Templar. Others believe that they found a mysterious treasure at the Temple of Solomon in Jerusalem during the Crusades. Their story is filled with so much intrigue, along with speculation, that separating fact from fiction can be a challenge. During the Crusades, this band of warrior monks protected Christian pilgrims from Europe on the way to the Holy Lands. In the process, they established one of the world’s first banking systems. The way that it worked is a European nobleman would sell off some of his property to the order before embarking on a pilgrimage. An accountant in the order would issue him a deed, akin to a receipt, saying how much money he had “in his account.” As he made his journey to the Holy Land, when he stopped at an inn run by the knights, he could present his deed, along with a form of identification, and thus pay for services. A drawing of one of the Templar Knights. Borstnar. In the Holy Lands, they were like the Delta Force of the Crusades. They were the first standing army since the fall of the Roman Empire. Many crusaders were hordes of peasants and farmers who took up arms at the behest of the pope and their local leaders. They were not trained in warfare and often had nothing but their own religious fervor to guide their fighting. 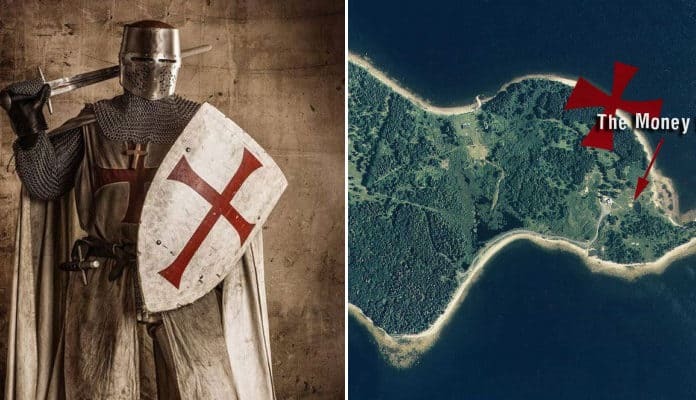 The Templars, though, were highly trained warriors who were experts in battle. Their services – as bankers, as hospitallers (for their hospitality), and as warriors – became highly valued. In exchange for protecting Christian pilgrims traveling to Jerusalem, the Order of the Knights Templar was able to gain power, prestige, and vast amounts of wealth that made the organization one of the strongest in all of Europe. Members were effectively exempt from local laws because they were answerable only to the pope. They became so powerful, in fact, that they were seen as a threat to some kings, particularly King Philip of France, who ruled at the beginning of the fourteenth century. When he brought the order to its knees in 1307, and the pope later banned them, they didn’t disappear. They are still alive in many people’s imaginations today. A drawing of a group of Templars. Ancient Origins. Of all the mystery that surrounds the order, one of the most enduring legends of the Knights Templar is that of their treasure. What exactly did it consist of, and what happened to it? Did it exist at all, or was it a fabrication invented by nobles to have a reason to degrade the knights? One of the most intriguing theories is that the treasure lies hidden deep underground in a remote island off the coast of Nova Scotia: Oak Island.